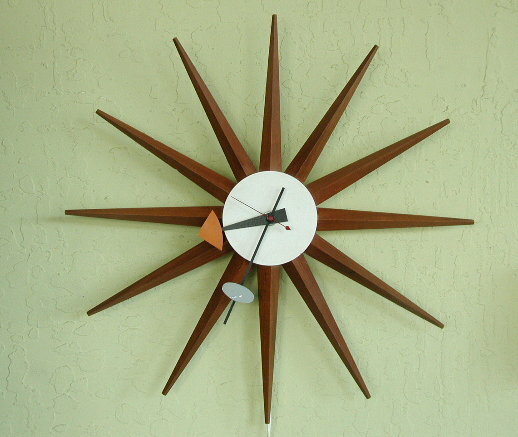 Original Vintage Sunburst Clock. Rewired. Walnut spikes. Howard Miller decal on the back.